While everyone else has begun to figure out which Montgomery books they are reading during the month of January in conjunction with the Lucy Maud Montgomery Reading Challenge, I figured I should share my reads as well. Me: "We only have a few chapters left and then we'll be done and you guys can watch the movie." Daughter (age 5): "Oh, but I don't WANT it to be over!!" Daughter: "Because I love it so much." Sweet, sweet music to my ears. I almost died of happiness. I can't believe I never got around to writing down all of the kids' impressions of Anne of Green Gables but such is life. It's been a busy season around these parts. Nevertheless, I didn't want January to pass us by and my miss an opportunity to read a little bit more Montgomery to them. 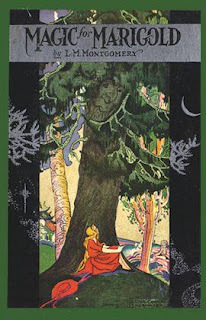 This year I opted to read aloud Magic for Marigold. 1. I want my kids to be aware of Montgomery's lesser known characters and not just her most famous ones. 2. They have a growing affinity for Montgomery and accept her people rather wholeheartedly. 3. I haven't read Magic for Marigold since 2014. We're about four chapters into the story already and I'm on the fence about having picked this one to share with them. My kids (aged 4 to 10) are tracking with it for the most part. They laugh in the right parts and take interest in the characters. However I do think it is written with an adult audience in mind and much of it would seem to go over children's heads. We'll soldier on though and I know I'll hardly regret it. 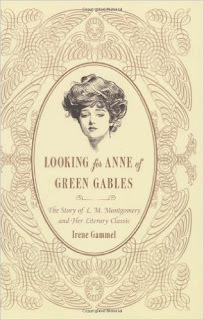 For myself I chose Looking for Anne of Green Gables, by Irene Gammel. This book has proved the perfect choice for me. I am absolutely loving it! So informative and interesting. It's distracting reading. Seriously, life has been so incredibly hectic lately I can't even begin to describe it. However, this book has forced my mind to slow down and find enjoyment in learning more about Montgomery. Montgomery and her characters really are a passion of mine and I love being distracted by a good book about both. Somehow or another, spending time with or around Montgomery leaves me feeling very calm and relaxed, introspective and grateful. She's fuel for my brain in some form or fashion so I'm grateful that January is here and it's time for this reading challenge! I don't know if I'll manage to squeak in any additional Montgomery reads this month but I will certainly try. If I don't manage it I'm not too worried. The only thing I've decided about my reading goals for 2017 is to indulge in as much Montgomery as I like all the year long. If you are also a fan of this woman and her works, then stay tuned. I plan on spending a good bit of time with her these next few months. Sounds like you've made some excellent choices for the challenge. 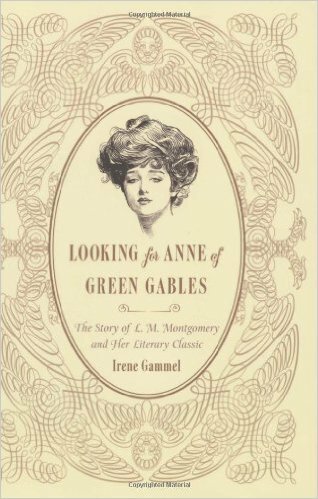 I would probably be interested in reading 'Looking for Anne of Green Gables' myself. I'll keep it in mind! I've been reading my NEW FAVORITE BOOK EVER, Jane of Lantern Hill. And I'm brimming over with happiness. Now... Have you ever watched the movie adaptation, Lantern Hill (1990)? If so, would you recommend it? Also... I have to admit, my heart just about stopped when I was reading on Wikipedia that Montgomery was writing a sequel.... but did NOT finish it! (Oh, the anguish of my soul!) To your knowledge, is there any way to get a hold of the manuscript she was writing? I think I need to branch out and read a bit of scholarly stuff about LMM since I've almost re-read everything by her since starting this challenge. (Thanks, CArrie!) I did write a research paper about Emily back in graduate school, but I don't remember a whole lot about it now. BUT...I think I'll introduce her to Marigold!